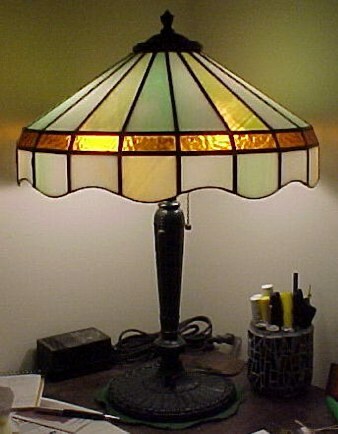 My Original Big Boy Lamp is 21 inch Diameter & 32 inches high. Lamp on left was made for the Antique Wood Base that is worth more than the lamp. 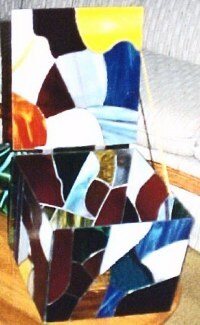 The bottom section is made from a bottom and a top section the remained after the straight part was cut out of the jug. Just an idea I had after I bought a bottle cutter. It is lighted top and bottom. 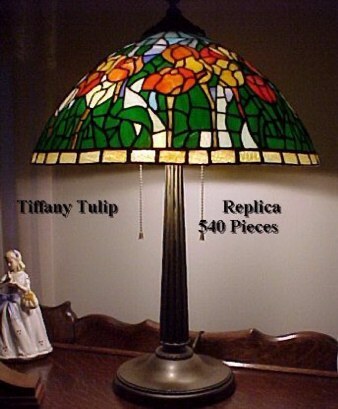 The lamp below is from a pattern book and is a TiffanyTulip Lamp replica with 540 pieces of glass. I put this project aside due to bad section fit of pattern. After three years I bought a grinder and finished the lamp. The solid brass antique base was found by our son Raymond on his property on Paper Mill Road near Potstown, Pa. 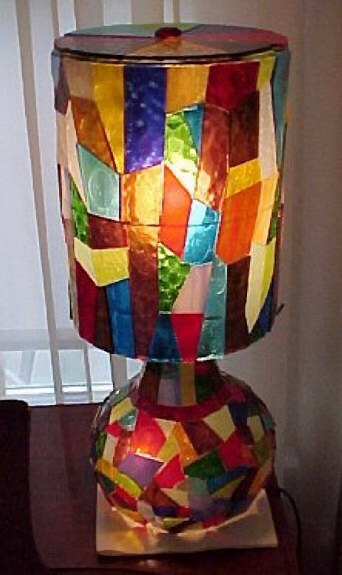 This next lamp was made from a pattern supplied by Matt Palma, Ann's Cousin deceased. 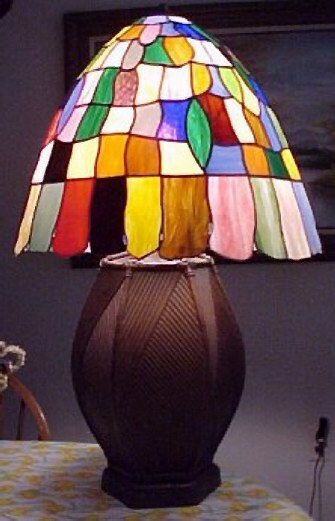 Matt was instrumental in my starting in stained glass. Matt was talanted and could do or build anything. This lamp sits on my desk. The base is antique. Pull chanes dated 1911. This next square lamp is from a book also and also requires a jig to make all pannels alike for proper assembly. Please note the small plaque in the lower left. 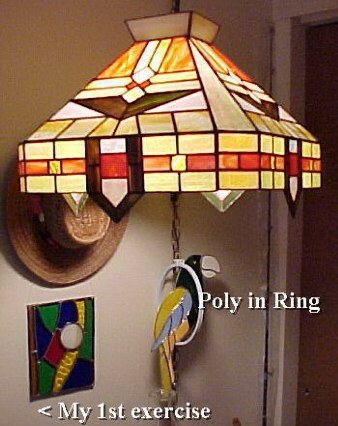 It was the first thing I ever did with stained glass from a library book. This lamp hangs in my computer room. 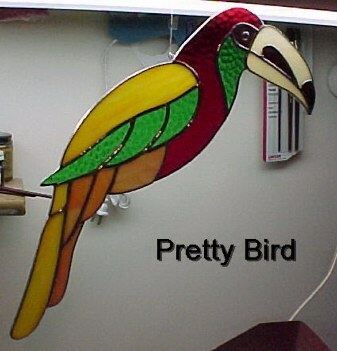 This is my favorite bird very difficult to make with modern glass. Made this box with hinged top for Ann to store her scrolled and flat pictures.